Jewell K. Yohe, 83, of Wabash, formerly of Marion, Indiana, passed away at 5:45 a.m. on Thursday, September 20, 2018 at Blair Ridge Health Campus in Peru. She was born on April 18, 1935 in Cadillac, Michigan to the late Dr. Eugene and Elexis (Davis) Kierstead. Jewell married George Hayde who passed away in 1987. She later married Charles Eldon Yohe on April 30, 2005 who passed away on November 18, 2016. Jewell retired from the Marion Community School System as a bookkeeper where she worked for many years. She was a member of the Women's Club House of Wabash and she volunteered as a usher for the Honeywell Center for many years. 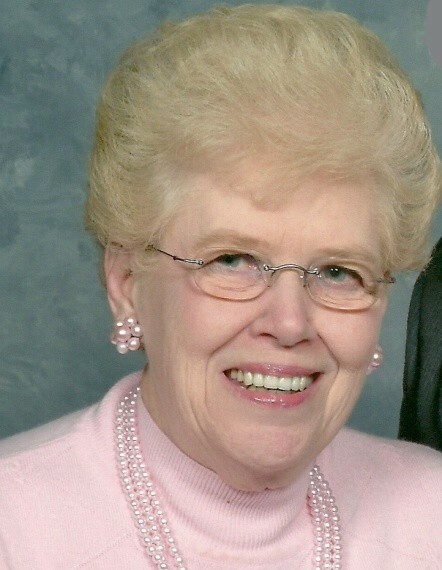 She was also a member of the Christ United Methodist Church, in Wabash where she was a member of the Miriam Circle. Jewell is survived by daughter, Nancie (Kevin) Meyer, Corvallis, Oregon; seven grandchildren, Arin Andrick-Pursch, Jason Spencer, Amber Andrick, Andrew Andrick, Michael Houston, Matthew Houston and Sarah Houston; brother, Marvin Kierstead, Washington D.C.; sister, Nancy (Kenneth) Heer, Brooksville, Florida; and 17 great-grandchildren. She is preceded in death by daughter, Linda Torrence and sister, Lois Howell. Funeral service will be held at 2:00 p.m. on Tuesday, September 25, 2018 at McDonald Funeral Home, 231 Falls Avenue, Wabash, Indiana 46992, with Pastor Chris Tiedeman officiating. Visitation for family and friends will be from noon to 2:00 p.m. on Tuesday at the funeral home. Preferred memorials are to the Christ United Methodist Church, 477 North Wabash Street, Wabash, Indiana 46992.